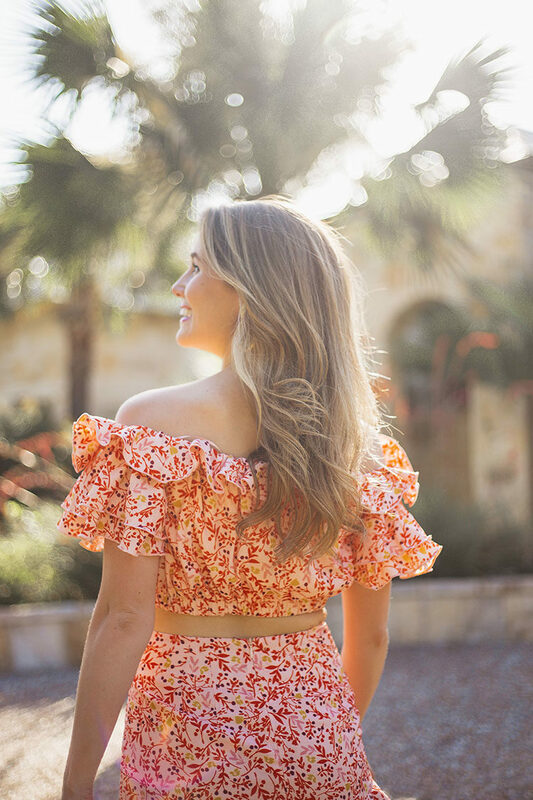 There’s something both feminine and fierce about this two-piece set, y’all, and ever since I took it to Italy I’ve been dying to share more about it here on the blog! Sets are all the rage this season, and if you’ve spent some time around here you know they’re my favorite as well. 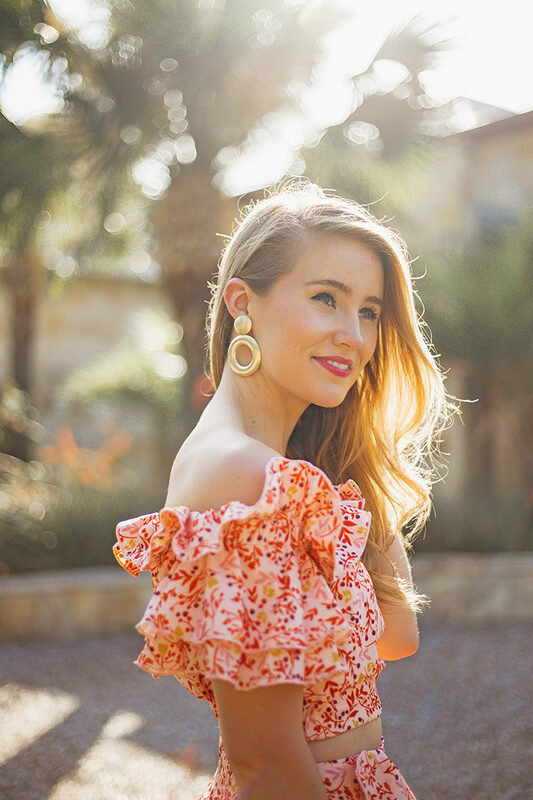 This one has lots of color, a fabulous fit and feminine ruffles that take the look to the next level! What’s not to love? I paired it with this fabulous set of new statement earrings I got. Swoon-worthy, no? Lisi Lerch has, in my opinion, the best statement pieces out there and these have already gone into heavy rotation! So simple yet so striking. I’m in love! Here are a few other matching sets I’m currently loving! After a fabulous week celebrating my bestie’s bachelorette in New Orleans, I’m packing up to head off to Nantucket with the Vineyard Vines team tomorrow! Ever since I went last summer, I’ve been itching to get back. First thing on my list? Fresh lobster rolls! 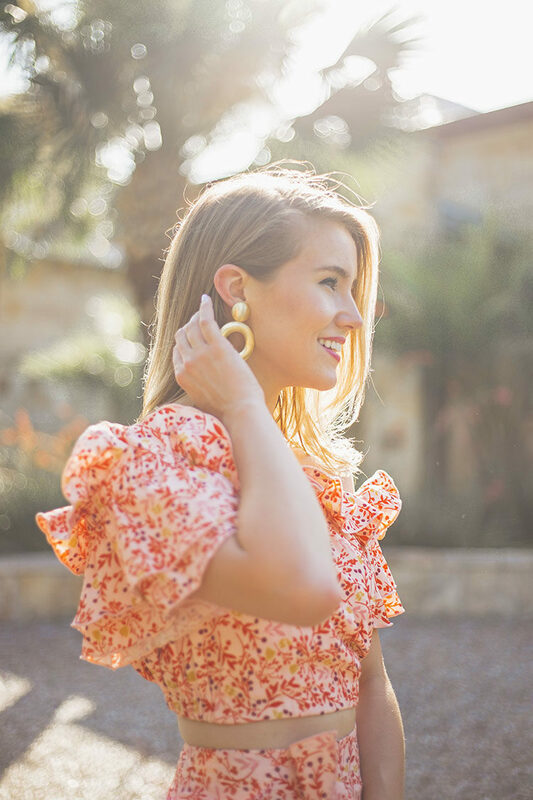 I need to pick up some gold Lisi Lerch earrings, they’ve been on my wish list for a while and with a recent summer hair cut that will accentuate them nicely I think it’s time to pull the trigger! this set is too cute! I am in love! I LOVEEEE a good matching two-piece set. I can’t believe I don’t own any though. I need to fix that ASAP! Omg I love this set! This just gave me the most perfect birthday outfit idea thank you!